Read more about The Shortwave Report 12/01/17 Listen Globally! Update Dec 2: Tax bill passes Senate 51-49 despite after report it would add $1.4T rillion to deficit, must still be reconciled with House bill. 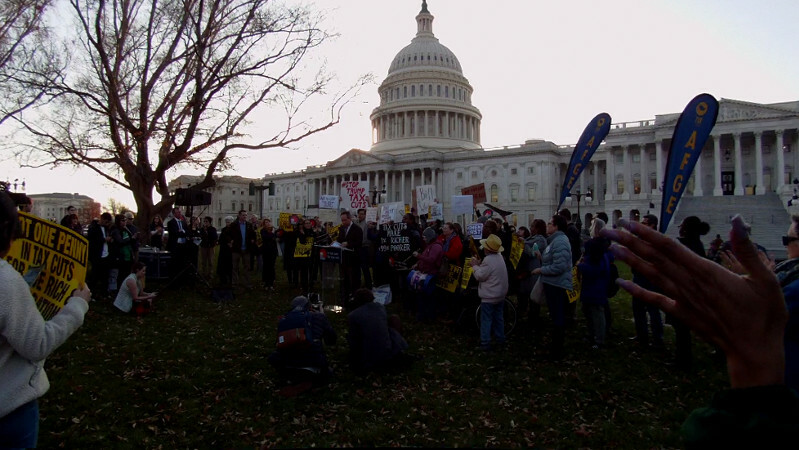 Beginning at 3PM on Nov 30, protesters gathered at the East side of the US Capitol to oppose the Trump tax bill. Like most GOP economic efforts, this bill robs from the poor and middle class to give to the rich. Under this bill, a person with $3M a year in income gets a $100K tax break, while a person with less than $50K in income will usually pay more. 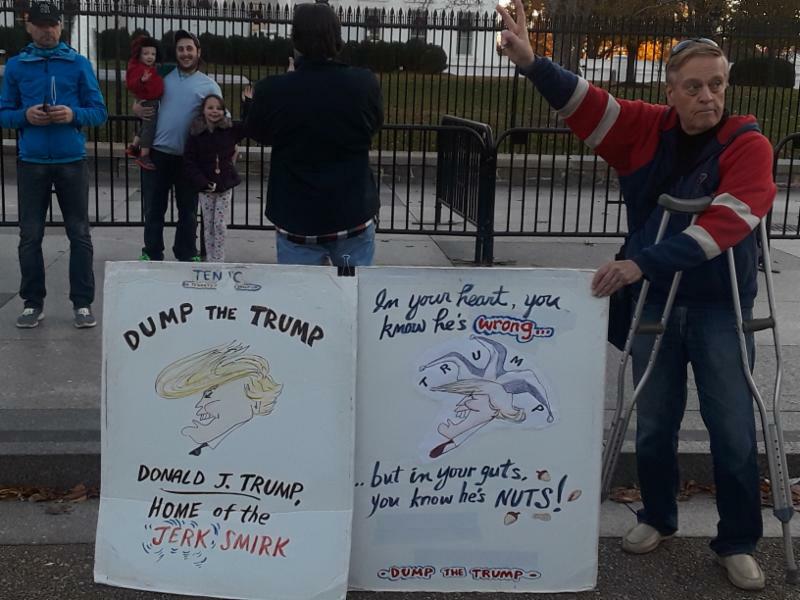 On Saturday, November 25, 2017, on or about 2 PM, while demonstrating against Donald Trump in front of the White House, Jim was physically attacked by a hyper-aggressive pro-Trump goon. The attacker was a young guy, very muscular, very enraged at the demonstration signs, and shouting violent epithets at Jim and cursing his anti-Trump signs. On the 28th of November, protesters opposing Trump's bill to cut taxes on the rich, jack up middle class taxes, and cut Medicaid and other benefits swarmed into the Dirksen Building and took over at least one hallway. 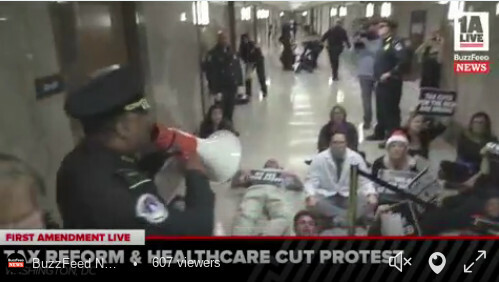 Many refused to leave and were dragged away by Capitol Police, leading to multiple arrests. 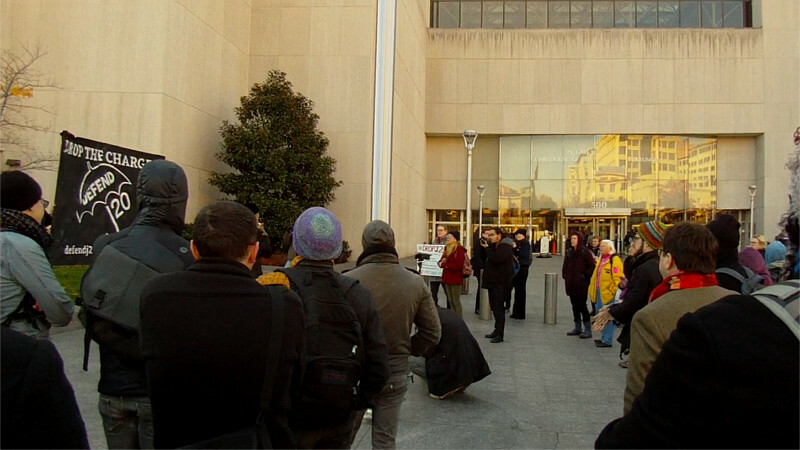 On the 27th of November, a protest was held outside DC Superior Court in soiidarity with J20 (Inauguration protest) defendents facing up to 65 years in prison. One message of the protest was that "a vote to convict is a vote for Trump" driven home by a chant. It has also come out that police already had decided to carry out the mass arrest prior to the march ever leaving Logan Circle. On Black Friday, the 24th of November, activists from Climate First! visited two local branches of Wells Fargo. 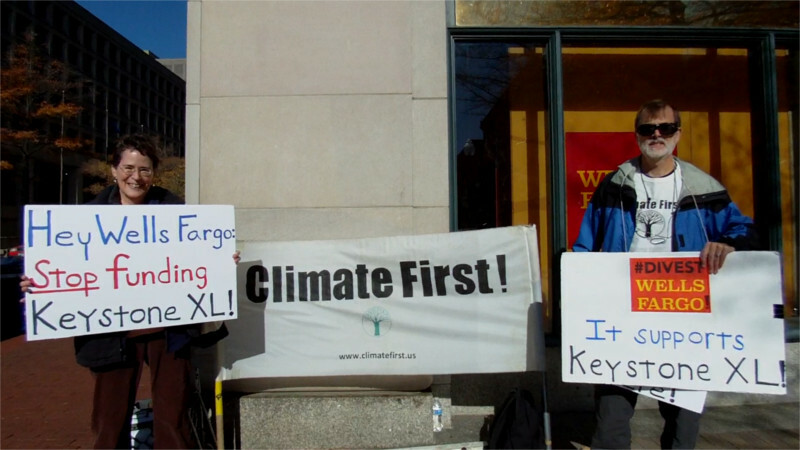 They were there to deliver letters to management asking that Wells Fargo divest from the Keystone XL tar sands pipeline. Read more about The Shortwave Report 11/24/17 Listen Globally! On Nov 19, 2016, Richard Spencer's "National Policy Institue" (NPI) met in the Ronald Reagan building in DC, throwing Nazi salutes while maybe 1,000 protesters beseiged the building. One year later, on Nov 19, 2017 they had to meet in a barn after the Ronald Reagan building dumped them, and it appears far fewer attended. Recent bounced checks by Richard Spencer probably made hotels unavailable. 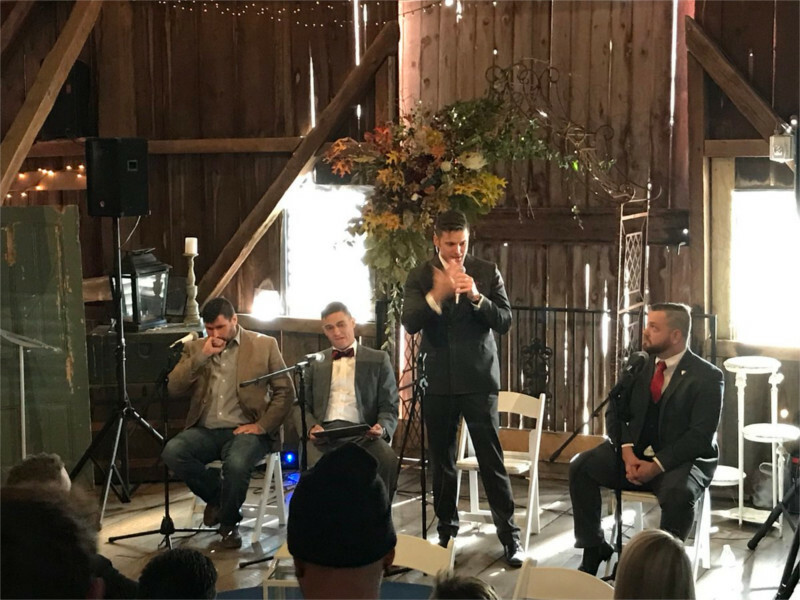 NPI has been reduced to a few Nazis meeting in a barn. 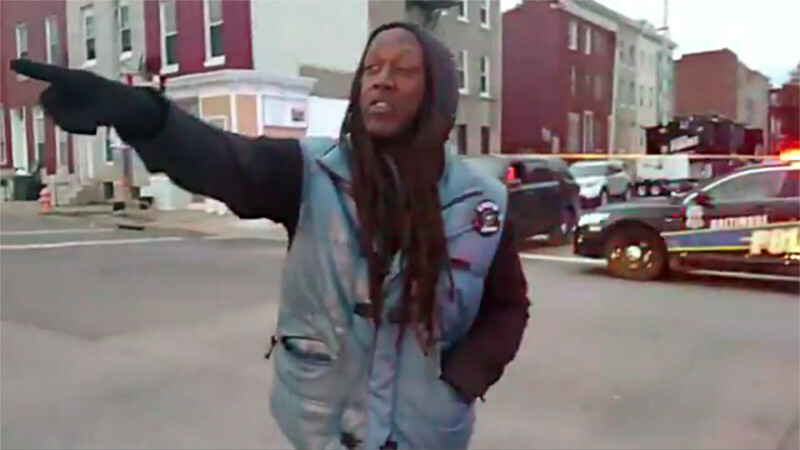 As of the 19th of November, Baltimore Police are holding the 500 block of Shroeder (at Edmondson & Schroeder) under armed occupation, with at least 9 police cars on site and residents of the block required to show ID proving an address on the block to enter. Residents without ID presumably can leave but cannot return to their own homes.